5 Outdoor Activities for Kids & Grownups AND a $500 Giveaway! 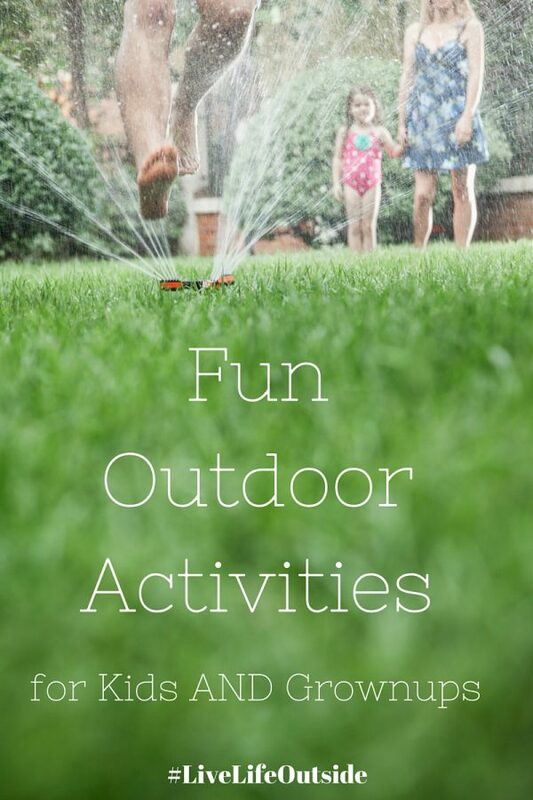 5 Fun Outdoor Activities for Kids & Grownups AND a $500 Giveaway! When we first saw our house, a foreclosure with piles of garbage, kicked in doors and purple paint on every wall (yup, purple), I cried. Literally walked in the front door and cried. But my husband, ever the optimist, steered me past the barf (yup), the chipped tiles in the kitchen and out the back door and said, “But, LOOK”. And out that disgusting kitchen door I saw a HUGE backyard. Granted there were weeds up to our eyeballs, but the potential was there and looking out on all green space, all I could see was the future with our kids. Summers of baseball with the neighbors, evening nights running around chasing the dog (that we didn’t have yet), a HUGE vegetable garden that we could live off of and more outdoor activities than a parent or kid could dream of. THIS was something I could work with. 6 years later our outdoor space has become the center of our lives. I have my outdoor living space, with lighting and fans and our dining area, and the kids have THE YARD. We have seen baseball games played, soccer practiced, hoses turned on each other and simple lounging in the hammock, enjoying the warm California sunshine. It’s been very very good. My husband knew that being outside was important to me, especially as a Southern California girl who had spent a lot of her time in the glorious no-humidity sunshine. So having a backyard where we could play/garden/hangout, was pivotal. 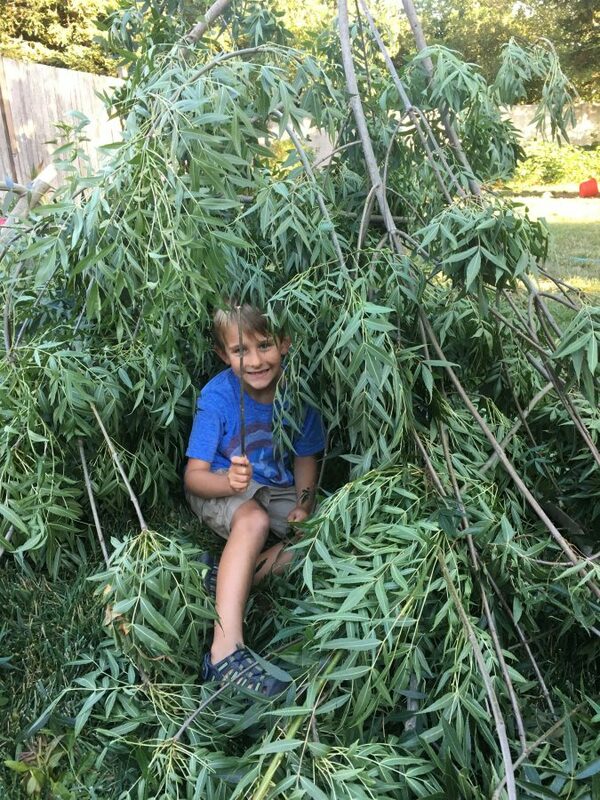 The fun part though has been trying to find outdoor activities that the kids will love and enjoy to keep our family as outside as possible while the weather permits… because after all, even in Northern California, Winter is Coming. 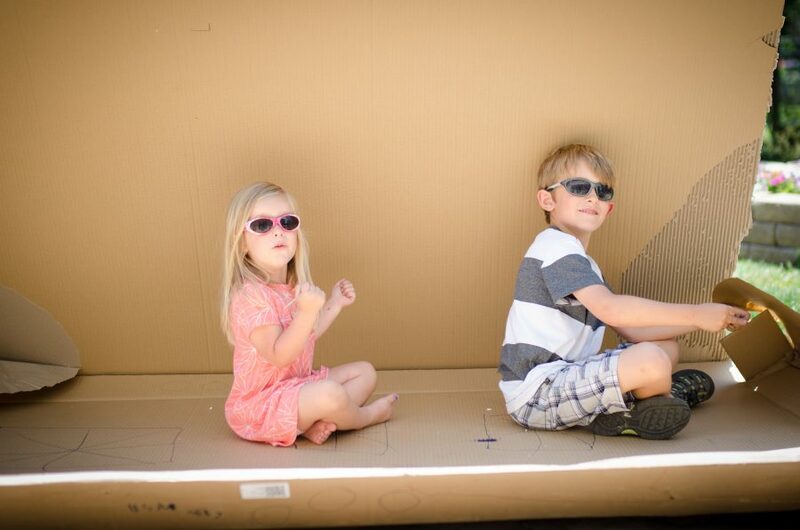 Cardboard boxes… best toy ever. Yard/Lawn Games – Corn Hole anyone? I’ve always been a sucker for lawn games growing up, so with our size yard we are able to knock out a few awesome rounds of corn hole, ladder ball, and even pro kadima (beach paddle ball). Dude, we might even bust out croquet… OLD SCHOOL. 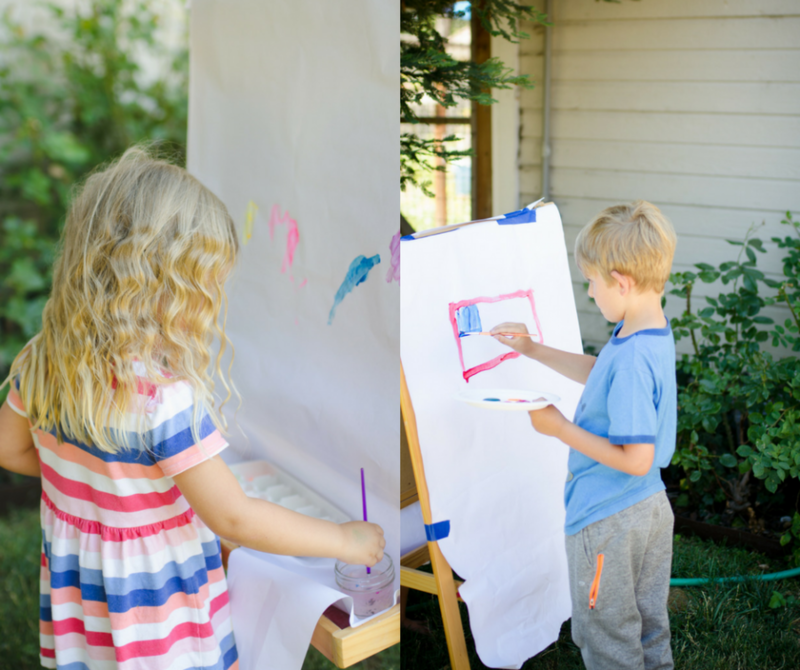 Paint Stuff – Let’s paint ALL THE THINGS this summer! Who doesn’t like to get a little messy with color? You can go the traditional easel route and just finger paint, or hey, what about TwoDaloo’s idea of painting a tree? RAD RIGHT? We love painting so as long as the house or the dog stay clean, the sky’s the limit. And honestly since most paint is washable these days? The house and the dog may even be fair game. 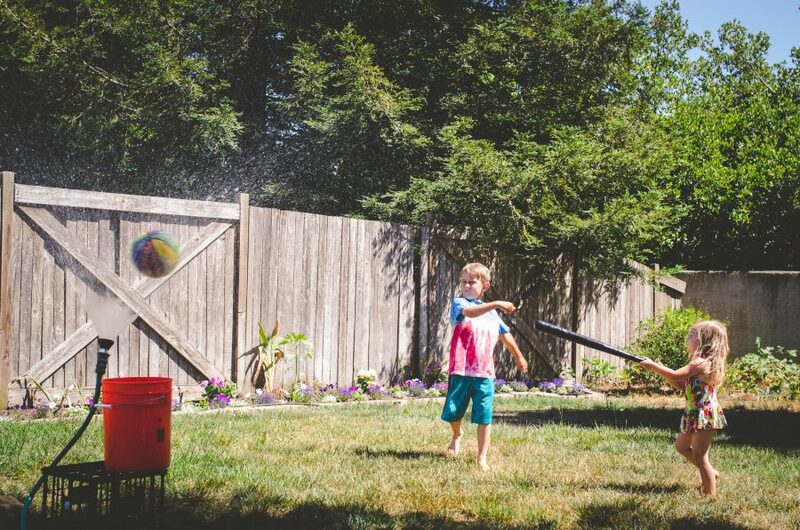 Water Play – Let’s be honest, even in glorious humidity-free Northern California it gets HOT in the summer. And though we are in a drought, there’s still some super fun things you can do with water! How about bouncing bubbles? Water gun fights? Even hand watering the veggie garden can turn into an impromptu water game! Pitch a Tent – Who doesn’t love sleeping under the stars? Whether you pitch a tent or build a fort there’s just something to be said about listening to the night sounds and gazing at the constellations. And while we’re trying to unplug, using the constellation app SkyGuide is a pretty fun way to pick them out. It’s a tree! It’s a fort! Whatever, it’s awesome. Outdoor Activities for Grown-ups – So it’s not ALL about the kids in the backyard! Get your buddies outside and have a BBQ, with delicious recipes and amazing drinks. Why not host a little tasting? It’s easy to have a wine or beer tasting for your friends with these great tips. Drinks and fun in the great outdoors is the best way to celebrate summer. 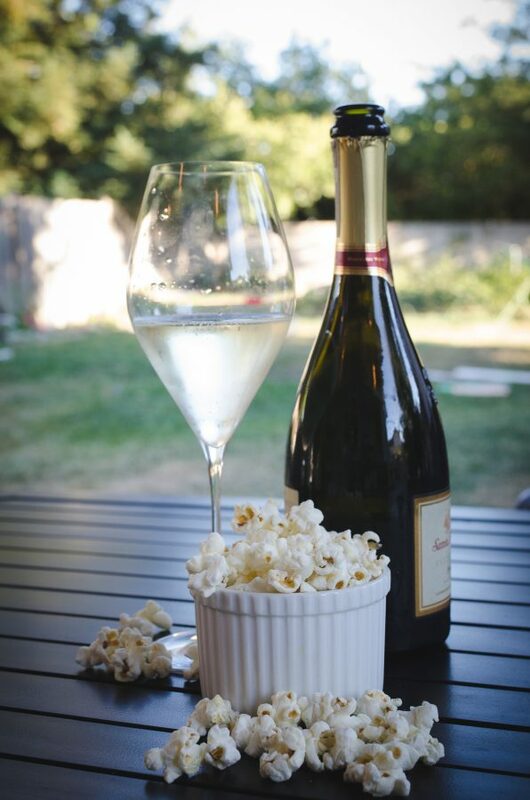 Bubbles and popcorn? Almost as good as bubbles and bacon. Getting outside with your kids this summer is SO important, especially as we march steadily towards fall and back to school. Did you know that our kids are spending HALF as much time outside as they did 20 years ago? TruGreen wants ALL of us to get outside more this summer and enjoy nature and the great outdoors – and is giving away $500 in their #LiveLifeOutside Sweepstakes!! 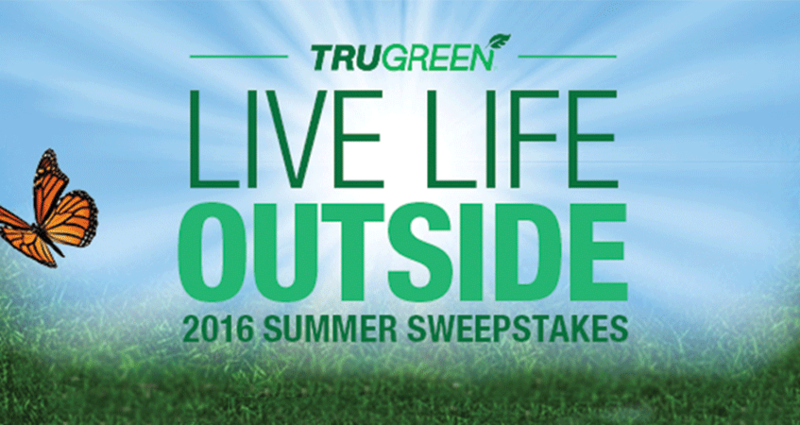 Enter to win by showing TruGreen how you #LiveLifeOutside ! !